When I was trying to come up with a Top 10 this year, I ran into a small problem (at least for me). With 44 percent of my fiction, Crime/Thriller/Mystery novels so dominated the candidates, it’s like I read nothing else. 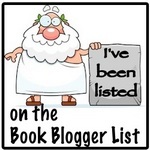 So, I decided to split them into 2 lists — one for Crime Fiction and one for Everything Else. Not the catchiest title, I grant you, but you get what you pay for. I do think I read some books that were technically superior than some of these — but they didn’t entertain me, or grab me emotionally the way these did. And I kinda feel bad about leaving them off. But only kind of. These are my favorites, the things that have stuck with me in a way others haven’t — not the best things I read (but there’s a good deal of overlap, too). I know I read books that are worse, too — I don’t feel bad about leaving them off. Anyway…I say this every year, but . . . Most people do this in mid-December or so, but a few years ago (before this blog), the best novel I read that year was also the last. Ever since then, I just can’t pull the trigger until January 1. Also, none of these are re-reads, I can’t have everyone losing to my re-reading books that I’ve loved for 2 decades. Enough blather…on to the list. I’ve read all the comics (at least collected in paperback), listened to all the audiobooks, read the books at least once . 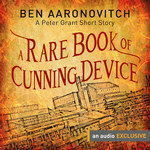 . . I’m a Rivers of London/Peter Grant fan. Period. Which means two things — 1. I’m in the bag already for this series and 2. When I say that this is the best of the bunch, I know what I’m talking about. 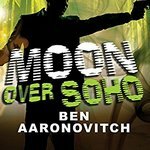 Aaronovitch writes fantastic Urban Fantasy and this is his best yet. The series has been building to this for a while, and I honestly don’t know what to expect next. Great fight/action scenes, some genuine laughs, some solid emotional moments . . . this has it all. Everything you’ve come to expect and more. 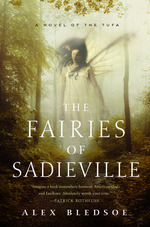 I was very excited about this book when Bledsoe announced it was the last Tufa novel. Then I never wanted it to come out — I didn’t want to say goodbye to this wonderful world he’d created. But if I have to — this is how the series should’ve gone out. It’s the best installment since the first novel — we get almost every question we had about the Tufa answered (including ones you didn’t realize you had), along with a great story. It’s just special and I’m glad I got to read this magical series. I haven’t been able to get a post written about this –I’m not sure why. It’s superior in almost every way to the wonderful Skyfarer — the idea behind the caravan, the scope of the ship and it’s culture are more than you might think anyone has done before. 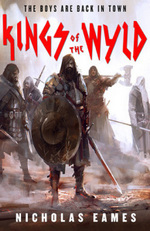 A fantasy novel about wizards and warriors (and warrior wizards) in a SF setting. I had a blast reading this and I think you will, too. Probably the best comedic/parody/satire fantasy since Peter David’s Sir Apropos of Nothing. The characters are fun, well-developed and pretty strange. 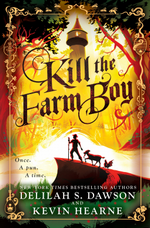 This is a great fantasy story, it’s a great bunch of laughs, but there’s real humans and real human reactions — it’s not all laughs but enough of it is that you won’t have to work hard to thoroughly enjoy the book. 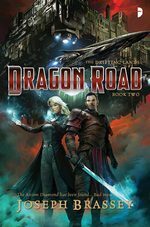 Like Dragon Road, I’ve been trying to write a post about this book for months. An epic story about brotherhood, about family, about heroism, about integrity — but at its core, it’s a story about Clay Cooper. Clay’s a good man trying to stay one. He worked really hard to get to where he is, but he has to e back on the road to help his friends’ daughter. It’s a fantastic concept and set up, with an even better follow-through by Eames. Possibly the best book I read last year — and I don’t say that lightly. A Superhero story, a SF story, an Urban Fantasy, a story about friendship and destiny told with just enough of a light touch to fool yourself into this being a comedy. From the great title, all the way through to the end this book delivers. 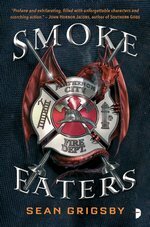 Firefighters vs. Dragons in an Urban Fantasy novel set in a futuristic dystopia. That could’ve been my entire post, and it’s all I’m going to say now. This could have been the series finale and I’d have been satisfied. I’m thrilled that it’s not. Hunter’s been building to this for a few books now — and it absolutely pays off the work she’s been doing. Better yet, there’s something else she’s been building toward that doesn’t get the attention it needed — and it’s devastating. The series will be different from here on out. Hunter’s as good as the genre has, and this book demonstrates it. I don’t have words for this. I really don’t know how to say anything about this book — especially not in a paragraph. Click on the original post and know that even then I fail to do the book justice. It’s strange, gross, funny, exciting and thrilling. As much as I appreciate McGuire’s Toby Daye, Indexing and InCryptid series, her Wayward Children books are possibly the best things she’d done. This allows us to spend time with characters I didn’t think we’d see again and the family — and world — of my favorite character in the series. It’s like McGuire wrote this one specifically for me. But it’s okay for you to read it, too. I’m generous like that. 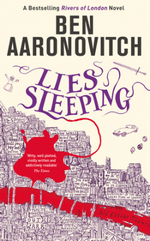 Pub Day Repost: Lies Sleeping by Ben Aaronovitch: Things get Intense in the Ongoing Conflict between The Faceless Man and The Folly. Series: The Rivers of London, #7eARC, 304 pg. I’ve got to say, I’d much rather be talking about this book in detail with someone else who had read the series than talking about it in spoiler-free form, so much of what I feel strongest about with this book cannot be discussed. 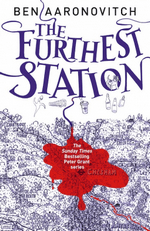 Aaronovitch has outdone himself this time — it’s the best book of the series thus far, and that’s no mean feat. It’s easy — far too easy — when thinking about this series to think of the lighter aspects — the humor, the heart, Peter’s growing pains, the snark, the pop culture references, and whatnot. That’s typically where my mind goes, anyway. But time after time, when picking up the latest novel, or even rereading one, I’m struck by how carefully written, how detailed everything is, how layered the text is — and I feel bad for underestimating Aaronovitch. Not that I have anything against breezy, jokey prose — but there are differences. Nor am I saying these books are drudgery — at all — the stories are fun, the voice is strong, and the narration will make you grin (at the very least, probably laugh a few times, too). In Lies Sleeping part of that care, part of the thoroughness of this novel is how there is a tie — character, event, call-back, allusion — to every novel, novella, comic arc involved in the Rivers of London up to this point — if you haven’t read everything, it won’t detract from your understanding of the novel — but if you have read them all, if you catch the references — it makes it just that much richer. So what is this novel about? Well, after years of chasing The Faceless Man (and The Faceless Man II), Peter Grant (now a Detective Constable) and Nightengale have his identity, have several leads to follow to track him down — or at least his supporters and accessories (willingly or not). Better yet — the Metropolitan Police Force have given them the manpower they need to truly track him down and interfere with his funding and activities. During this operation, Peter, Guleed and Nightengale become convinced that Martin Chorley (and, of course, former PC Lesley May) are preparing for something major. They’re not sure what it is, but the kind of magic involved suggests that the results would be calamitous. How do you prepare for that? How do you counter the unexpected, but dangerous? There are two paths you follow: thorough, careful, borderline-tedious policework; and bold, creative, innovative thinking. The two of those employed together lead to some great results — and if Peter Grant isn’t the embodiment of both, he’s . . . okay, he’s not perfect at the former, but he can pretend frequently (and has colleagues who can pick up the slack). Not only do we get time with all our old friends and foes — we meet some new characters — including a River unlike anyone that Father or Mama Thames as yet introduced to. Mr. Punch is more involved in this story than he has been since Midnight Riot, but in a way we haven’t seen before. Most of the character things I want to talk about fit under the “spoiler” category, so I’ll just say that I enjoyed and/or loved the character development and growth demonstrated in every returning character. 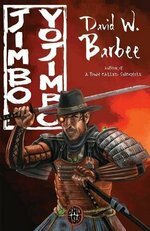 There’s more action/combat kind of scenes in this book than we’re used to. I couldn’t be happier — Peter’s grown enough in his abilities and control to not need Nightengale to bail him out of everything. Nightengale and Peter working together in a fast-paced battle scene is something I’ve been waiting to read for 7 years. It was worth the wait. 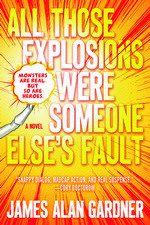 As I said before, Lies Sleeping is the best and most ambitious of the series — the richness of the writing, the audacity of the action, the widening scope of the novel, the Phineas and Ferb reference, the epic battle scenes, the growth in Peter, Bev, and Guleed (and maybe even Lesley), the ending rivals Broken Homes‘ — all add up to a fantastic read. Yeah, I’m a fanboy when it comes to this series, and Lies Sleeping made me a happy fanboy. 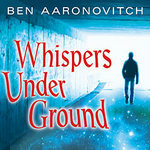 I have no idea how Aaronovitch moves on from this point with these books, but I cannot wait to find out. Unabridged Audioboook, 10 hrs., 17 min. Okay . . . man, how to sum this one up. Peter, Lesley and Abigail Kamara (a teen-aged neighbor of Peter’s parents) go down into the tunnels of the Underground to look for ghosts, and find one. What we learn here will be important come The Furthest Station. This is a fun little foray into the wider supernatural world of this series. And then we get back to police work — a man is stabbed at the Baker Street tube and there’s enough for Stephanopoulis to bring in Peter just to rule out magic. Which he can’t do. It turns out that the victim is an American, which makes everything unnecessarily complicated. And then it turns out that he’s the son of a US Senator, and things get worse. The FBI sends an agent — Kimberly Reynolds — over to help out/observe/get in the way. So Peter has to handle to non-normal side of the investigation, keep Seawoll from having to hear about magic (because it interferes with actual police work in his mind), and not let Reynolds know that there’s anything not run-of-the-mill about Peter and the investigation. All at the same time. Very quickly, it seems clear that there’s something going on that Peter and the rest just don’t get. Yeah, magic was involved in the killing, but there’s no real trace of it in the victim’s life — not with him, his school, his friends, his enemies, or anything. So where’s that come into play? The answer comes when it’s least expected and in a direction that was impossible to predict. Aaronovich really pulled a rabbit out of his hat this time. Sure, he made both the rabbit and the hat, so it’s to be expected that he’d do that. But, there’s just something about the way he did this one — police procedural that accidentally turns up the answers and leads to something bigger than anyone expected. A great balance of UF and Procedural (the last one was a bit too light on the procedural for me). Guleed doesn’t get enough to do, but I liked her presence. Lesley really gets to shine a bit here, and her inability to be a regular part of the police force is underlined here for her and Peter — and just how horrible that is emphasized throughout. When Stephanopoulis is the rational, supportive authority figure for Peter (other than Nightingale), you know that Seawoll is a little over the top in his antagonism to all things Folly. But mostly, this was about characters we know and like getting to do things to keep us liking them, and probably liking them more while introducing some new figures for us to enjoy. Really, the main take away I had from this audio production was a bit of joy over the fact that Holdbrook-Smith isn’t perfect. His Agent Reynolds was just bad. At least the American accent part of it. I enjoyed his flubbing of that more than I should have. Meanwhile, everything else he did was just fantastic — especially Lesley. The range of emotion, sarcasm, etc. that he can put into her voice while still accounting for her lack of face is just incredible. Also, Zach Palmer — the roommate of the murder victim — was just hilarious. I know a lot of that was in the text, but the way Holdbrook-Smith brought him to life was wonderful. As impressed as I was with the way that Aaronvich did everything he did, something about this one didn’t work for me as much as others in the series do (either in this re-read or originally). I’m not sure why. Still, this was a good, entertaining book that anyone who likes the concept of a Police Officer/Wizard in training should enjoy. When I think back over the first books in this series, I remember them being a lot of fun — pretty funny, really, with moments of tension and drama. I don’t know why I think that. Listening to the first two have been a good corrective. Yes, Peter is witty, and some of what he does while learning magic or talking to other police officers is amusing. But these are not light books — this is solid police work mixed with dark magic. They’re still fun, just a lot less light than I recall. Actually, my poor memory extends beyond just the tone. I remembered almost nothing about the plot of this one (I remembered almost everything that wasn’t involved in the main plot, the long-term investigation into the Faceless Man, the stuff with Lesley, etc.). Which made it a great experience to re-read. Jazz musicians are dropping dead after performances of a lifetime — in ways that seem like natural causes, but Peter (and Dr. Walid) can tell there’s something more going on — just what that might be is a touch beyond them. There’s another supernatural predator traveling in London hotspots, preying on unsuspecting men. Peter and DS Stephanopoulos work together to get to the bottom of things — we also meet PC Sahra Guleed. After Guleed’s appearance in Body Work, I’ve been trying to remember where I knew her from, but I couldn’t come up with it, so pleased to have that question resolved for me — I remember now, and I remember what a great character she is. Peter’s spirit, his curiosity, his drive — they make for a great protagonist, and I quite enjoy spending time with him. I would’ve liked a bit more Nightingale — but I understand why he wasn’t around. Even Peter’s new love interest and his new musician friends are a blast. Really, I can’t think of any characters in here I don’t dig. Kobna Holdbrook-Smith . . . I’m telling you, this guy is just great. His characterizations of the regular characters, plus the ones that we meet here, are great, he just brings everyone to life. But, the job he does with Lesley May’s voice as she recovers from the devastating injuries she sustained at the end of Midnight Riot? I don’t know how to talk about how wonderful — and heartbreaking — I found that. Another little plus that the audio books bring (not attributable to Holdbrook-Smith) are the interstitial music, that little jazz bit between chapters. It’s just perfect for this series. If you could get that on a chip in the paperbacks to play when you turn the page of a new chapter (or on a whim)? That’d be gold. 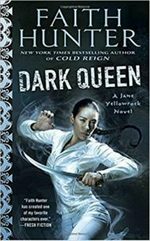 A great installment in the series, solidifying the world and helping every character move forward following Midnight Riot. 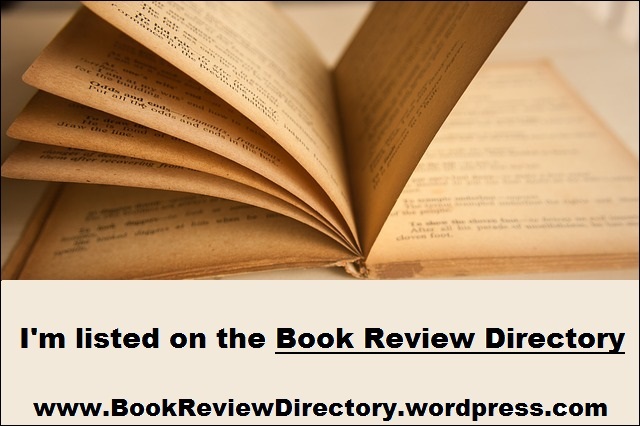 Series: The Rivers of London, #5.7eARC, 144 pg. He asked if we were really ghost hunting, and I said we were. “Officially secret,” I said because discretion is supposed to be, if not our middle name, at least a nickname we occasionally answer to when we remember. This novella hit the spot — a short, but fully developed, adventure with our friends from the Rivers of London series — full of action, a bit of snark, and seeing Peter in his element (and far out of it, too). Would I have preferred a full novel? Sure — but if I can’t have one, this is more than adequate. Peter Grant, apprentice wizard and Police Constable, is investigating several reports of a ghost terrorizing people on the Underground during the morning commute. Naturally, even when interviewed immediately following a sighting the witness would only be able to remember details for a few moments before they forgot and/or rationalized them away. Which makes it pretty difficult to ask follow-up questions. As Peter continues to investigate, he ends up finding a very non-supernatural crime that he needs to deal with, even if he goes about it in a pretty supernatural way. While there’s little in this series that I don’t like, but Peter doing regular policework is one of my favorite parts. Along for the ride (and looking for trouble) is his cousin, Abigail Jumara, acting as a summer intern for the Folly. Honestly, I barely remembered her when she shows up here — but I eventually remembered her, and I was glad to see her back. I’m not necessarily sure that I need to see her all the time, but seeing more of her would definitely be pleasant. In addition to the subplot about Abigail’s future, there’s a subplot revolving around another personification of a river — not one of Mama Thames’, either. I enjoyed it, and thought it fit in nicely with the rest of the novella, while giving us the requisite dose of a body of water. 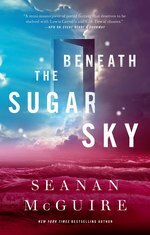 There’s not a lot to sink your teeth into here — but the novella length doesn’t leave you wanting more (like a short story would). It’s good to see the Folly involved in smaller cases. Not just the serial killing, major magical threat, etc. kind of thing — but the “smaller” stuff, too. For any fan of the Folly/Peter Grant/Rivers of London series, this is one to get. It’d even make a pretty good introduction to the series for someone who hasn’t yet discovered this fun UF series. Disclaimer: I received this eARC from Subterranean Press via NetGalley in exchange for this post — thanks to both, I needed something like this. This is an audio-only release (for now anyway) about Peter (and Toby) go looking for a poltergeist in the stacks of the basements of The British Library. Harold Postmartin was hanging out at the Folly when Peter got the case, and wouldn’t let him shrug it off for awhile, so he got to do a little field-work, too. It was fun to see Postmartin in action and learn a bit more about him. Peter and Toby were their usual entertaining selves. The Librarian (who’s name I can’t remember, sorry), was fun — the tie-in with Peter’s family was, nice too. The Library (in both fact-based and clearly UF ways) was an interesting place, and I can easily see the need for Peter to return there on another case. Holdbrook-Smith is just fun to listen to, if I heard another couple of books in this series, I’d probably hear him in my head for any future Peter Grant/Rivers of London books. Top-notch stuff there. I gripe too much about short stories being to short, so I’ll try not to here. This was a complete story, but it very easily could’ve gone on — in fact when the file ended, I pretty much thought that my headphones ran out of juice. It was good enough to satisfy, but not so good that I can’t grumble about it being short. This was fun, and though I’m not sure how giving a story away works to earn money for a library charity, I’ll trust that it does some how and hope that it meets with plenty of success.